See the course descriptions under Workshop heading. You will learn the terminology and the techniques that you need to know, to start on the road to quilting. At the end of the course, you will be comfortable with cutting fabrics, piecing them together into blocks by using your sewing machine in class. 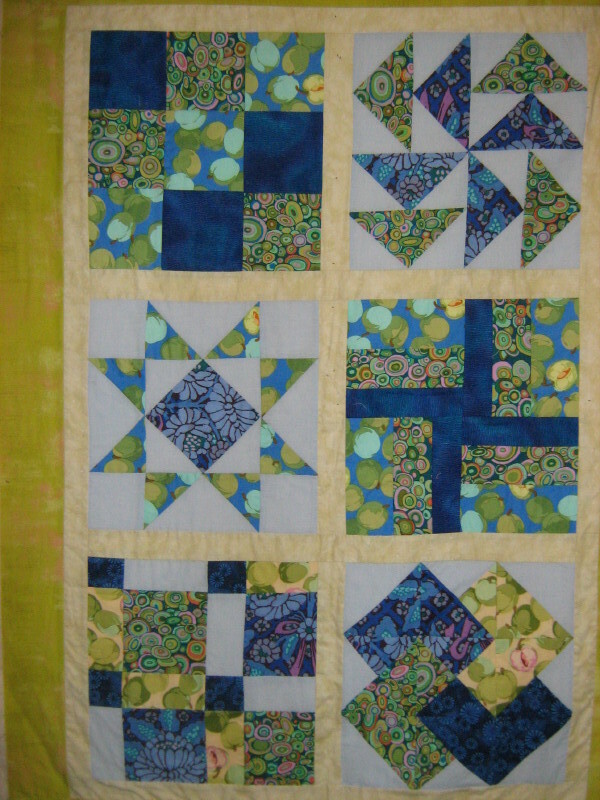 You will make a Sampler quilt and learn how to put a quilt together. 8 sessions of 3 hours on alternate Monday mornings. Contact me on anntill2@tiscali.co.uk for further information.